Representations and illustrations of mind-mapped stories, everyday happenings and the banalities of existence have their own dynamics. This is the dynamics that sows seeds of creativity in fertile mind. Such was the first session of the our artist-mentorship program Partner a Master with artist Tushar Joag in the month of August. 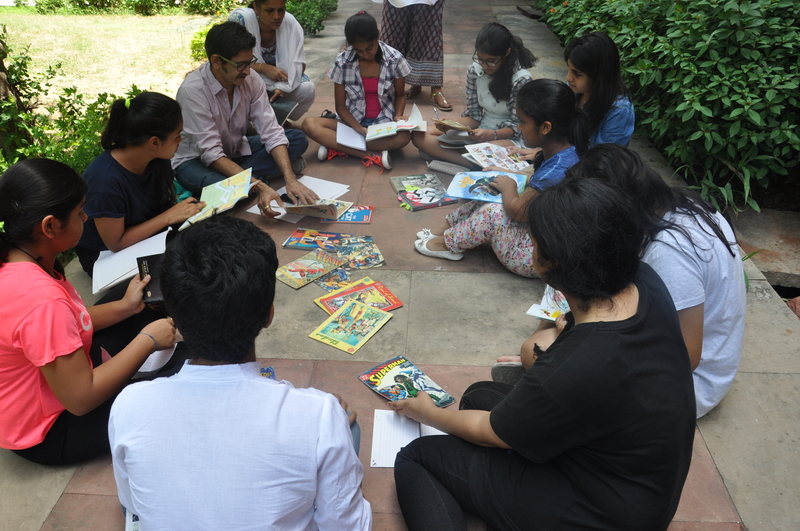 Taking cue from Tushar Joag’s history with graphic novels in his own extraordinary artistic stride, our mentorship program conjured up its own nimble course with the students. 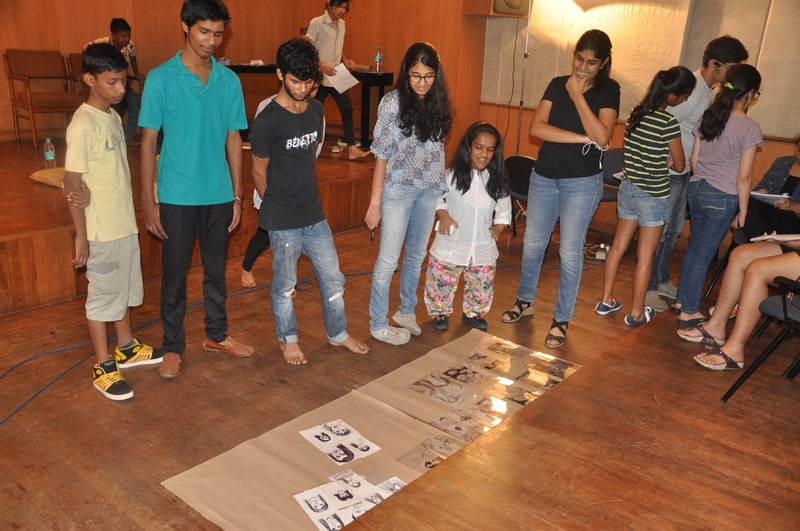 Tushar set the tone for the workshop, first, by linking the idea of a graphic novel with ancient cave paintings of Ajanta, Jataka tales, patta chitra and then weaving the idea of ‘narrative’ through them. 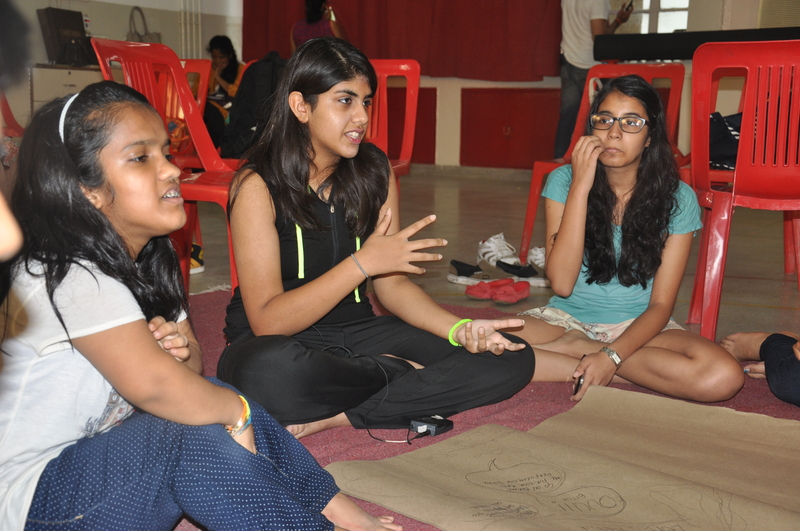 Toying with the idea of a story for their own novella was the tool Tushar used to usher the students into thinking mode. Mulling over the plot of the story, they whipped up a scenario concertedly about the trials and tribulations that a woman has to endure in the world of beauty and glamour. Following that, Tushar initiated them into the technicalities and thematics that would be imminent in the ‘making’ of the illustrated novel. Elements that go into the making of a story/novel with graphic representations were contemplated upon by each student. The ‘devices’, which have to be weaved in any story as part of the pipeline to achieve the final product, were turned over in their minds by our artist. After bringing to fruition their ideas and thoughts in the form of the inked graphic novel, student Sama felt that her “favourite part of the whole process was the inking part where finally it felt like we had achieved something and the results were finally showing”. Subiya added to this saying, “It’s amazing to see how all of us, as different individuals, can have an opinion we all agree on”. 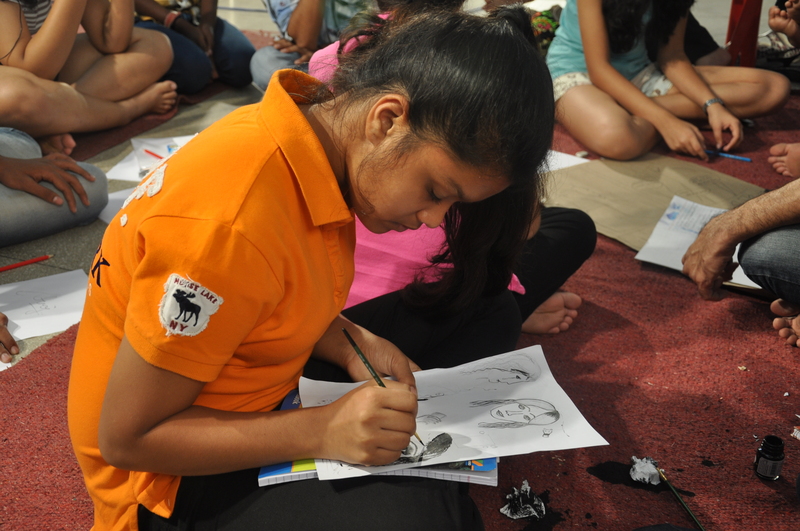 With every feature and dimension in place in their novella, the students drew caricatures of each other for the back page and the session’s epilogue came with each one eagerly waiting to savour their bound ink and paper creation.